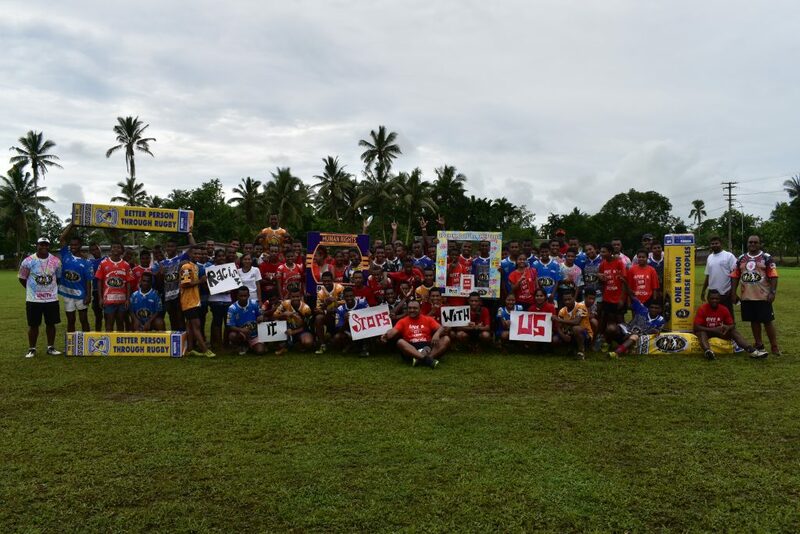 The Citizens’ Constitutional Forum in partnership with the Rugby Academy Fiji for the the first time hosted a Tag Rugby Festival to promote the elimination of racial discrimination. In line with the International Convention of the Elimination of all forms of Racial Discrimination day, CCF with the newly established Rugby Academy conducted workshops and rugby clinic to selected schools along the Nausori corridor. The team visited four schools Vunimono High School, Shreedhar Maharaja College, Lelean Memorial School and Sila Central College. The objective of the visit was to empower the youth on ways to avoid racism and to learn that unity is the way to moving forward. “This has been a positive approach to promote diversity in Fiji and create more awareness on ways to fight racism. If we could do this with racism and have an impact to the students who participated we can also do the same for other issues like bullying. We greatly acknowledge Seremaia Bai and the Rugby Academy Fiji, the Ministry of Education and schools that were part of this initiative. CCF will continue to explore ways to promote multiculturalism and use sports as vehicle to reach out to all,” said CCF CEO Bulutani Mataitawakilai. The one day event included 8 teams where Lelean Memorial School defeated Vunimono High School in the finals to conclude the rugby festival.